Two Bedroom, Two Bathroom With One Car Garage..FSU Bus Route! - Available For August 2019 Occupancy! 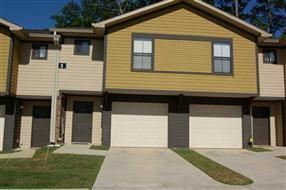 Available for rent is this great two bedroom, two bathroom property located in the Timberwood Community on White Drive. Centrally located to TCC, FSU and a short drive to FAMU and all the night life Tallahassee has to offer. Don't like to drive to school, don't worry about it because the FSU Bus line stops steps away from your front door. This property has plenty of ammenities and the list goes on and on. Don't wait to long to sign a lease on this wonderful property. Other: kitchen appliances, kitchen with bar, combo living rm/diningrm, trey ceilings, ceiling fans, ceramic/clay flooring, wood, carpet, two bedrooms, two bathrooms, on fsu bus line. I am interested in viewing this rental. Please send me more information about 741 White Drive # 13, Tallahassee FL. Thank you.